Almost a week and a half ago now (wow how time flies btw) I attended Fiber Camp 2015 hosted by the lovely men and women of the Common Cod Fiber Guild, and boy did I learn a lot! It was great to be around so many friendly people, and best of all, they loved talking about knitting. I saw so many lovely projects too that now I'm on inspiration overload. Buy a composition notebook with graph paper. As an engineer, I solely use graph paper at work. However it is all loose leaf, and I simply recycle each page after I'm done with it. At work, I like the idea of starting fresh for each task. Designer Julia Farwell-Clay gave a class on designing motifs and showed off her design notebook, which you guessed it, was a composition notebook with graph paper. I love the thought of all of the my ideas, good or bad, being in one place. Maybe this is a trivial point, but it did inspire me to go to Staples and buy one! In fact, I'm using it for charting the Gloucester Baby Blanket pattern again -- it's almost ready to go, just re-checking the math. Have an organized toolkit. As I looked around, most people seemed to have either a little bag or tupperware where they kept all of their knitting notions. I, on the other hand, have stitch markers loosely tumbling about in literally every pocket of my backpack. 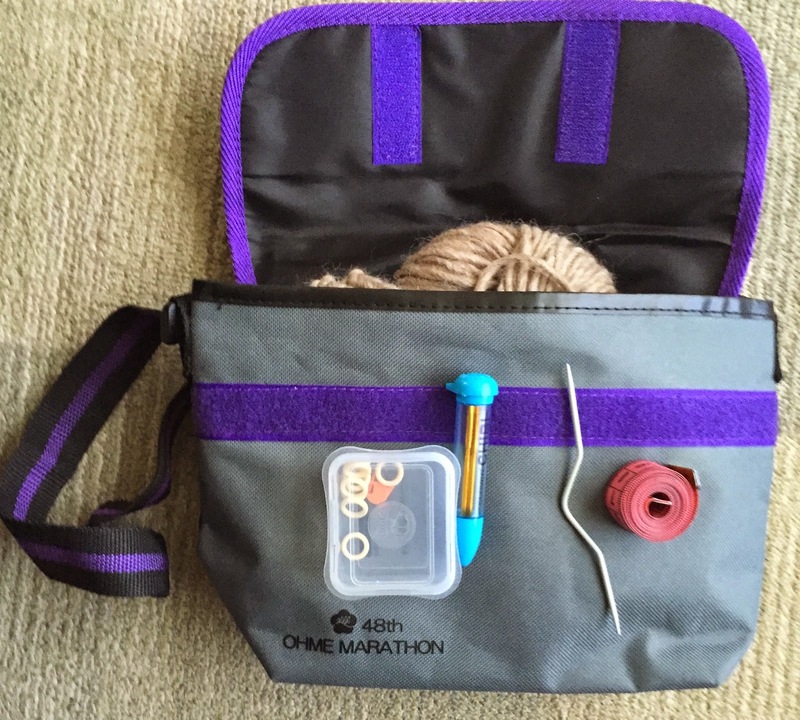 After camp, I was inspired to organize a little pouch with all of my knitting essentials: stitch markers (although I should get more since I've lost nearly all of them now), tape measure, cable needle, and a darning needle. Also everyone seemed to have this cool little tool (4 inches to be exact) called a "tool replacement", which has a crochet hook on one side and size 3 needle on the other end. It can be used as a cable needle or for picking up dropped stitches. My newly organized knitting toolkit! Use a pom pom maker. Sheeri introduced us to these pom pom makers that make beautiful, full pom poms. Plus they are extremely easy to use! How to spin yarn! This lesson came as pleasant surprise late Sunday afternoon. Willa brought some fiber and drop spindles and taught us how to spin. It was rather addicting, and now I can see why people love it. I'm holding off on this craft for the moment, simply because it seems too fun. 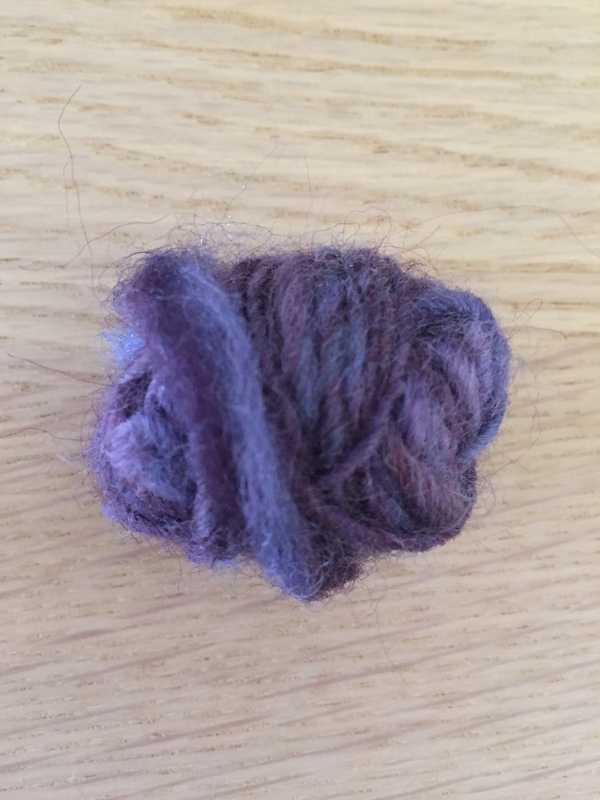 But now I have my first mini-mini skein of my own hand-spun yarn. Even though it looks just as you would expect after spinning for the first time (that is... not so great), I was told I should keep it to see how far I progress. Maybe this summer I'll pick it spinning! 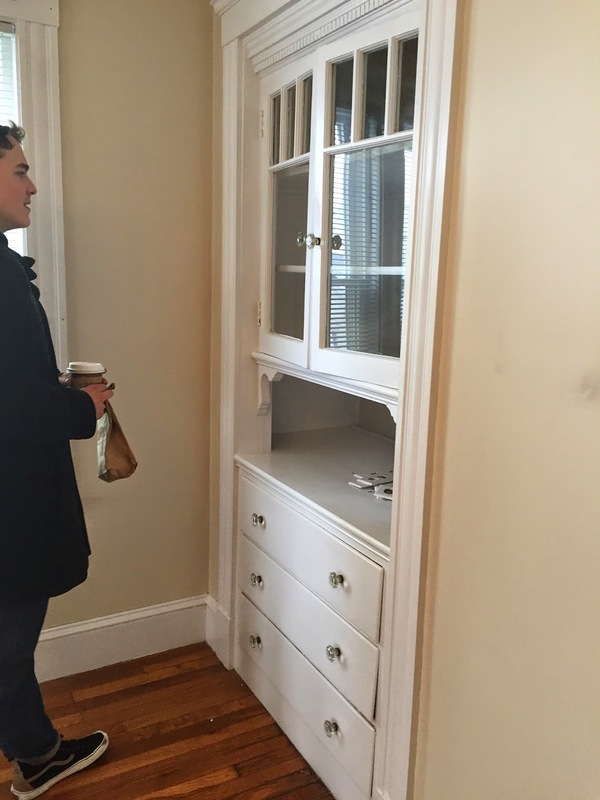 features of our future Salem apartment. 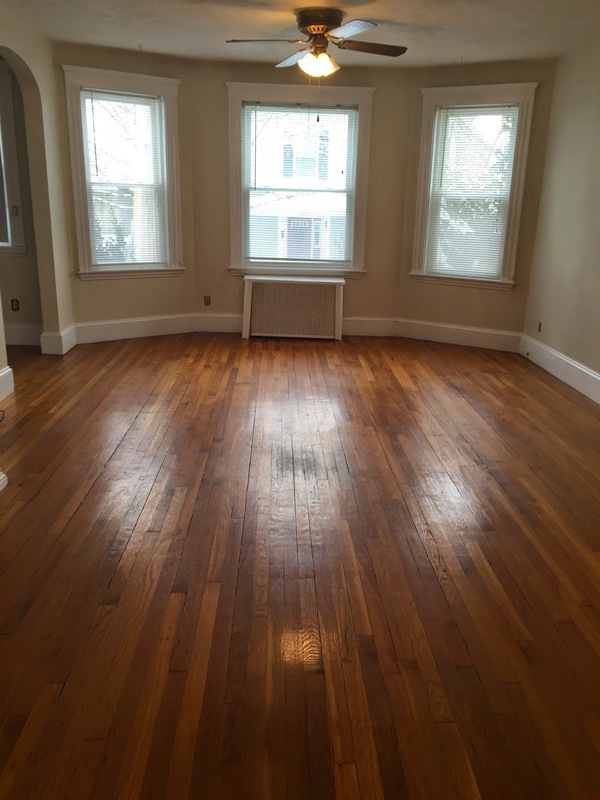 Living room/dining room in our new apartment. There was also a dyeing class by A Hundred Ravens, which a regrettably didn't take, but next time. I also learned more about the history of textured knitting, the do's and dont's of yarn selection for sweaters, seaming with the mattress stitch, picking up stitches, etc. I also came home with some goodies too, including free ones, which let's admit, are always the best. 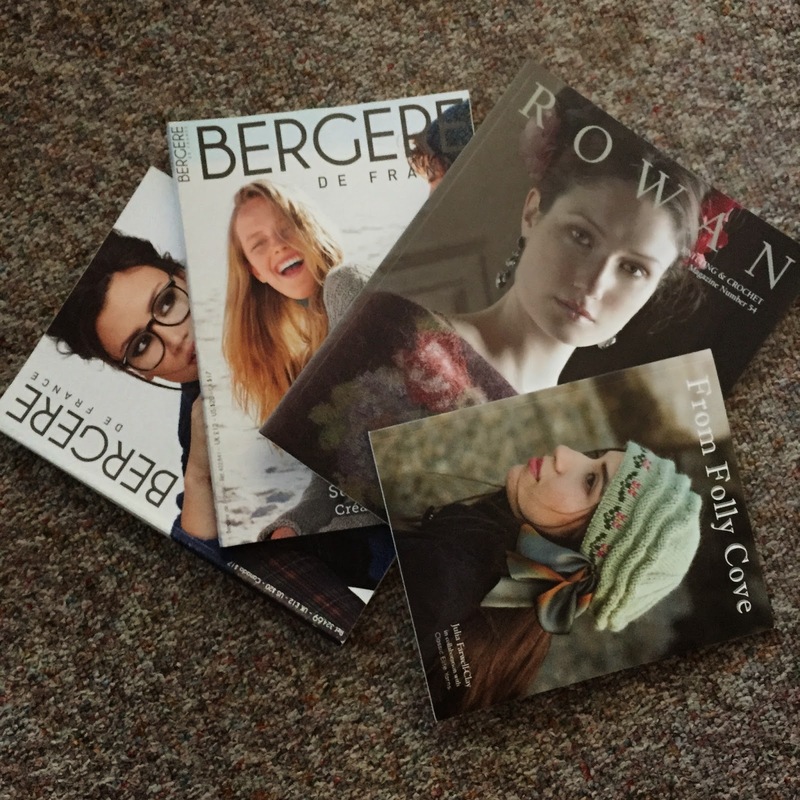 I got the latest Rowan Knitting magazine plus two Bergere of France knitting pattern magazines as a raffle prize courtesy of Stitch House in Dorchester, MA. It's like I have Ravelry in print now. I also purchased From Folly Cove as I mentioned last post. All of my Fiber Camp goodies! There was also a destash table where I picked up 3 skeins of Valley Yarns Goshen (48% cotton, 46% rayon, 6% silk) in Persimmon to make a bright, spring lace scarf. I started this project on the Sunday of Fiber Camp as I wanted to knit something easy while I attended the classes and talked with people. The lace pattern was a variation of the Sweet November Knit Shawl, just without the increases. Check out my project page on Ravelry for my modifications! Apartment Hunting.... Witch Place Should We Live?